MacBooks are strange; though they are technically laptops, they are referred to as a different genre altogether. 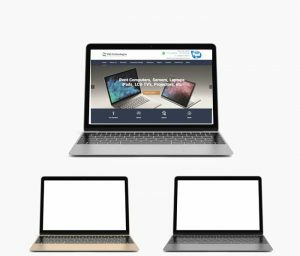 Although the Windows laptops and the MacBooks share a few common features, it is the few factors which are unique to the MacBooks that make them so special. At VRS Technologies, we have compiled for you the key factors that put the MacBooks in a different league altogether. We provide MacBook rentals Dubai, including the latest MacBook Air or the first among the equals, MacBook Pro at a budget price. According to the latest news, Apple has released an updated Apple MacBook Air with a bundle of new features like the Retina Display and the Touch ID. Apparently, the new MacBook Air is a visual retreat with the Aluminum bezel in the earlier version traded for a screen that is much closer to the edge. The Mac Mini gets a huge performance boost with the top line getting a 3.2 GHz 6-core i7 processor working under the hood. It is available with a whopping 8GB RAM and can be upgraded to 16 GB, 32 GB, and 64 GB. Both MacBook Air and the Mac Mini are bestowed with a T2 security chip which makes them super secure despite the lightning speed validation process due to the auto encrypting and decrypting feature. On the other hand, the iPad Pros Face ID authentication replacing the touch Id validation is the biggest change. The latest T2 security chip in the Apple MacBooks seems to be extremely secure. For one, it doesn’t need the Intel processor to validate the credentials but uses Apple’s very own silicon chip. This means as the data doesn’t reach the third party processor; the device is more secure than ever. Secondly, the authentication processor is faster than ever as it doesn’t tax the SSD performance. Though many think that the Touch Bar is just a marketing gimmick to make the Apple devices standout, we don’t share the opinion. A Touch Bar is essentially a strip of thumbnails sitting right on top of the keypad. The best thing about the Touch Bar is they are virtual keys which are context based. Basically, the appearance of the virtual keys and their size change based on the app the user is working on. Ideally, this Touch Bar is in the place of the function keys, but the latter has not vanished either. If you hold down the virtual FN key on the Touch Bar, it reverts back to the good old function keys in a jiffy. Isn’t the Touch Bar amazing? Well’ as said, it’s a personal preference at the end of the day. The latest, much-improved Finder tool in the Apple computers helps you in searching for the required files much more efficiently. It includes a Gallery view of all the files, which means bigger icon view as we search through the files. While there are the other unique features like the new exclusive “App developer framework” for the developers and the “work” tab, we have decided to drop them in the key differentiator list as they might not be considered as a great attribute from a regular computer user’s perspective. For the latest MacBook rentals in Dubai contact us at +971-55-5182748 or visit our website www.vrscomputers.com for more information.